Few days back we reviewed an online application for converting Youtube videos to MP3 files. Now what would you do if you want to select and cut few portions of your MP3 files and save them for ring tones and media projects? Well, shareware software like Nero and MP3cutter can do this, but in a real confusing manner. 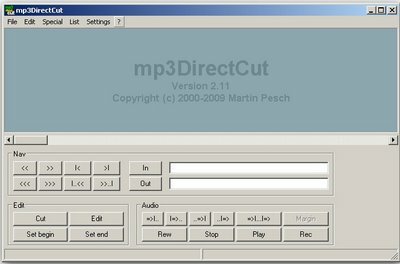 Mp3DirectCut is one of the most user friendly and free to use MP3 cutter and editor I ever came across. I can cut, modify and save MP3 music without damaging the original files. Download the application to know more. Cut, Copy and paste MP3 files. Create MP3 files with fast play and loop play. Normalize MP3 volume and apply transitional effects. Fully user friendly interface . Only 250 KB in Size. 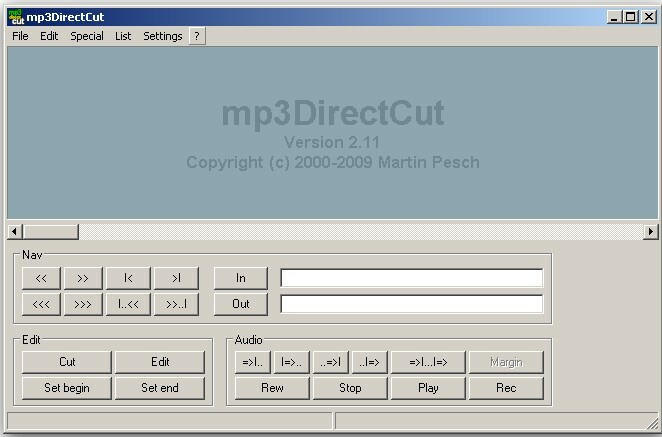 Download mp3DirectCut MP3 cutter for Windows, here . Just Open the desired MP3 file and then select “set start” and “set end “. Now click on “cut” to select and cut the required portion of MP3 file. You may also modify the MP3 file with the ” edit” button.